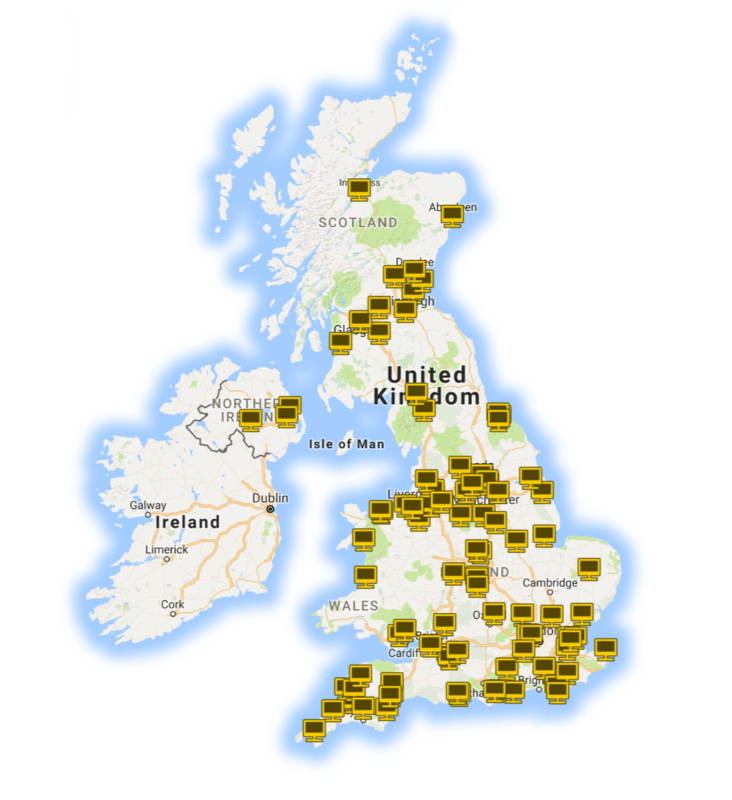 All specialists have a high street retail store that you can visit, and with great UK coverage, there will be a store near you to suit your requirements. Our members offer a range of services to help you get the most out of your computer. All members carry out repairs to computers and laptops as well as virus removal and upgrades. All our members are retail shops and are able to help if you are looking to buy a new computer. Being part of an independent network means that our members are not under pressure to sell you a particular brand or product. We take the time to listen to your needs be it a simple laptop for internet browsing and writing letters to multiple graphics cards for a gaming PC. Some members offer other services including repairs to Apple Mac laptop and desktop computers, call out visits to your home or office, repairs to mobile phones and tablet computers, web design and much more. Simply enter your postcode to find your nearest Approved PC Retail Network Member and view the range of services offered. PCRN are a group of local independent PC and Laptop specialists covering the whole of the UK, and constantly expanding. Offering repairs & sales, with services ranging from high end gaming systems builds to virus removals, and data recovery to mobile phone repairs* – we are confident you will find a specialist in your area. As you will only find technicians in these specialist stores and no sales people, you can be confident in the advice given. Price is not an important factor, but what you use the PC for is. Getting your system up and running quickly is also their priority, and not charging you for unnecessary parts and labour. Fill in your details below and one of the management team will be in touch soon to discuss your query.